Welcome to Oleg Vinyl World! We offer collectibles and rarities in perfect condition! Vinyl Records from the last few decades from the fields rock and pop. How do I buy something on this site? First of all, thank you that you are considering to buy something from us! Our site is easy and intuitive to use. You can find records by hovering your mouse over the "Performers" link, to find records of your favourite band or signer. You can, however, also use the "Search..." section. For this example, we are going to browse the shop by clicking on the "Shop" link. Once we are there, we scroll down and search for a record we like. Let's go for a classic, shall we? 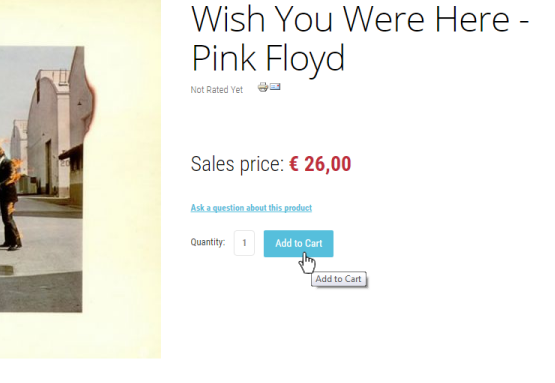 We click on "Wish you were here" by Pink Floyd. Here you can see the record and all its details. Are you satisfied and want to buy it? 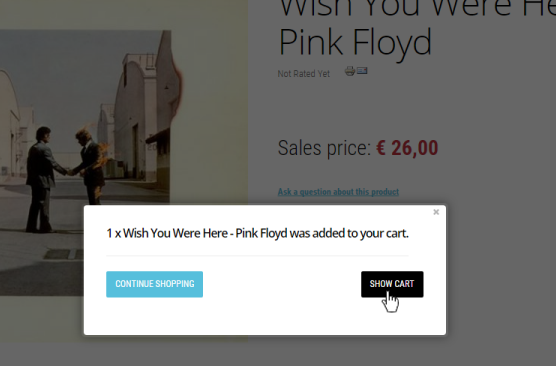 Click on "Add to Cart"
A little window will pop up. 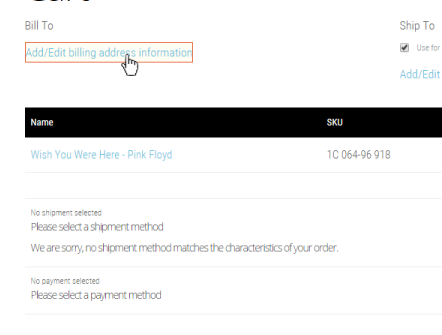 If you want to look for more records to buy, click on "Continue Shopping", otherwise click on "Show Cart" so you can complete your order. 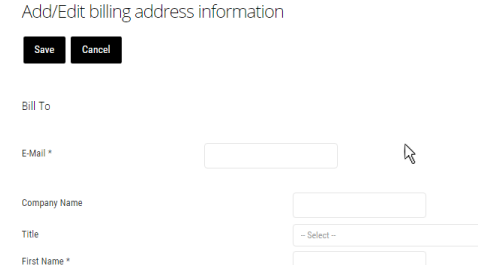 At first you will need to fill in your billing address and that works if you just click on the "Add/Edit billing address information" button. Here you can fill out your infortmation. The fields without a star (*) are not required to be filled out. 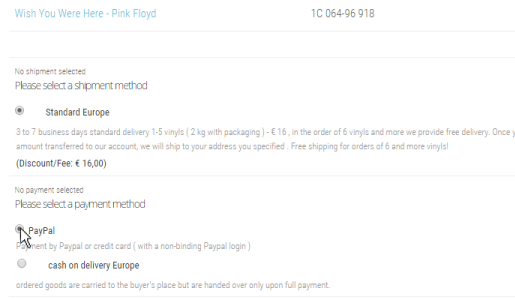 After that is done, you can select your shipment method and your payment method. You can also additionally add some notes and wishes in the box below, if you want. 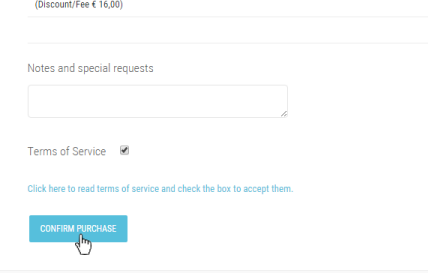 Tick the box to accept our Terms of Service and lastly click on "Confirm Purchase" to complete your order. That's it! Good luck and enjoy our records.